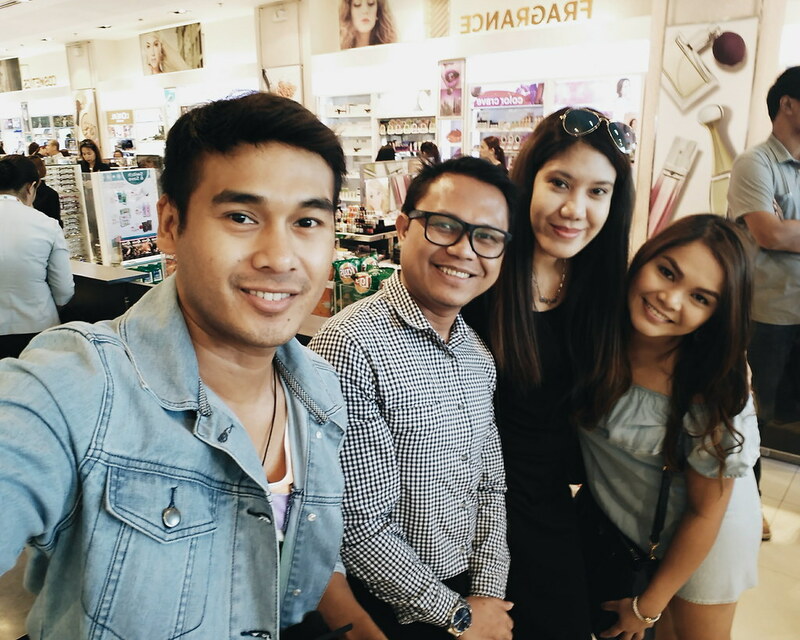 Shop at Watson's Mall of Asia on January 28th to win exciting prizes like all-expense trip, latest gadgets or shopping spree with Watsons Switcher’s Surprise. 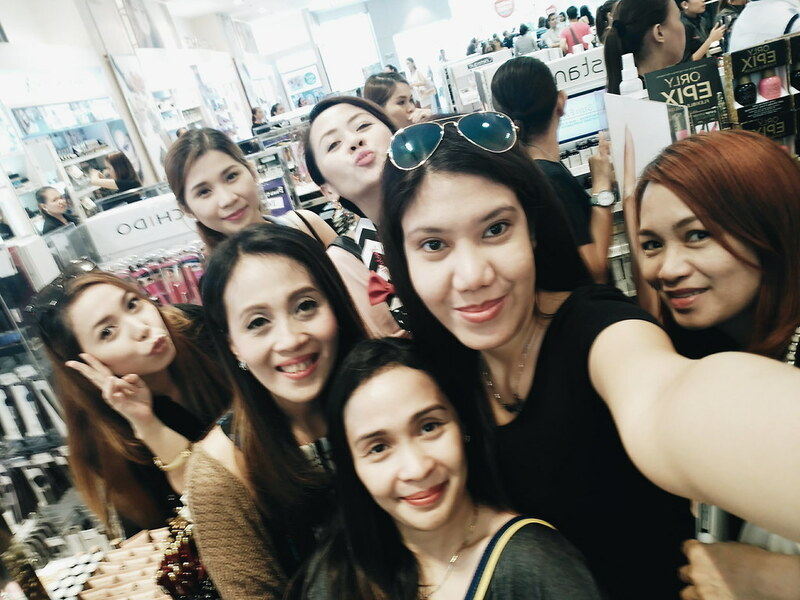 It seems like a normal shopping day for everyone in Watson's Mall of Asia. But not for 5 winners who won exciting prizes just by switching to Watson's products. The Watsons Switcher’s Surprise campaign brings to life the idea that by switching to the Watsons label, customers are able to save money for things that they really want or that matters the most to them. Think the latest gadgets, a trip to a dream destination, a new car, and an all-expense–paid shopping extravaganza. One got the biggest surprise of her life when it was announced that she won a trip to Hong Kong. To make it even more exciting, Philippines' Actress, Lorna Tolentino presented the prize. I was there to witness it and I drowned in a sea of people who wanted to see and witness the exciting announcement. 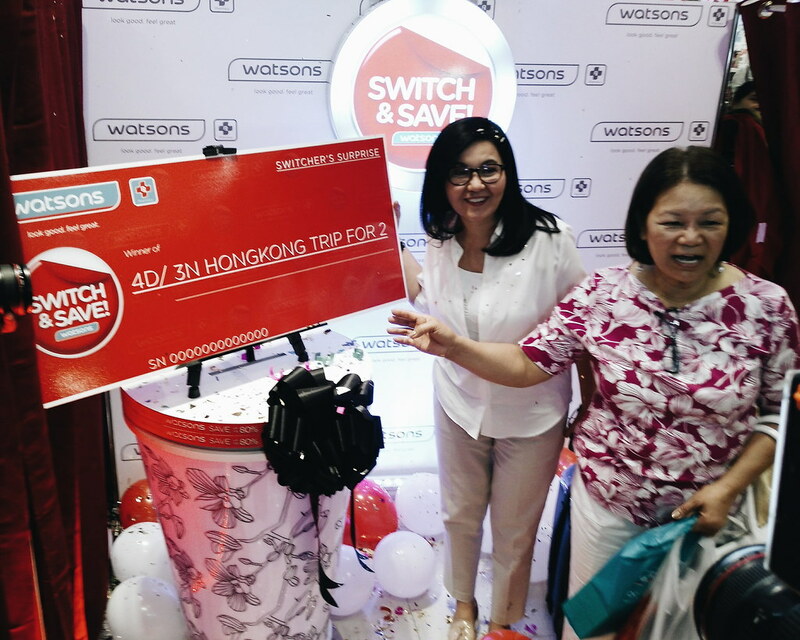 How to win Watsons Switcher’s Surprise? Well, you simply have to switch to Watson's Label products. These include a wide range of selected products from personal care to generic medicines like Watsons Glutathione, Watsons Travel Hair Dryer, Watsons Argan Oil Hair Conditioner, Watsons Body Scrub, Watsons Collagen, and Watsons Breath Strips, among others. 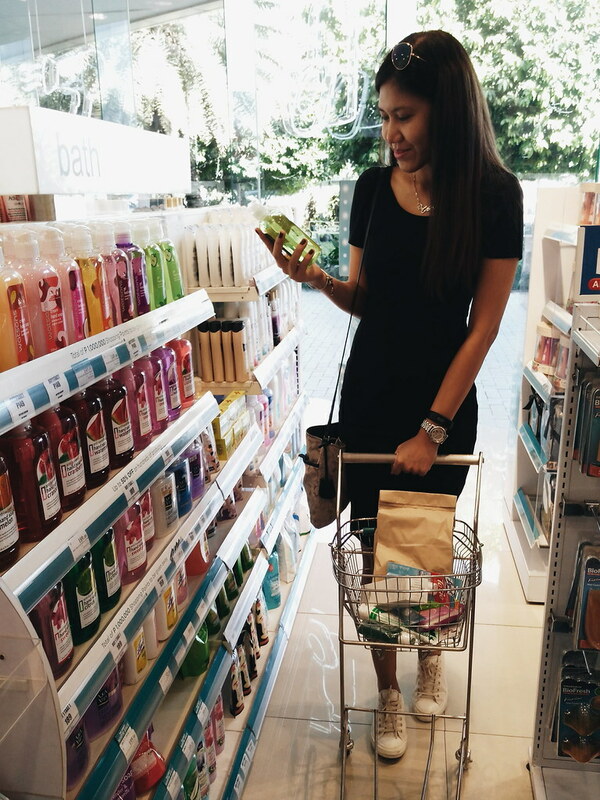 I personally love the Watson's Label products especially the Hand Wash and Body Wash. I used to hoard lots of bottles of these Buy One, Take One deals. 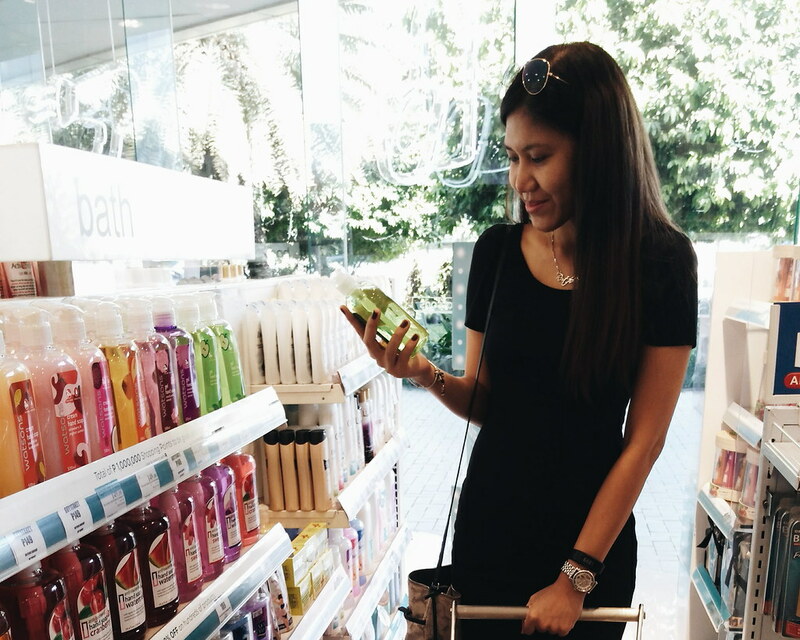 During designated hours of the day, shoppers who pick up specially marked Watsons Label products instantly get the chance to win prizes. Earlier, I saw one who won a flatscreen TV, a trip to Boracay and a trip to Hong Kong! To make it more exciting, the prize would be presented and unveiled in a booth. 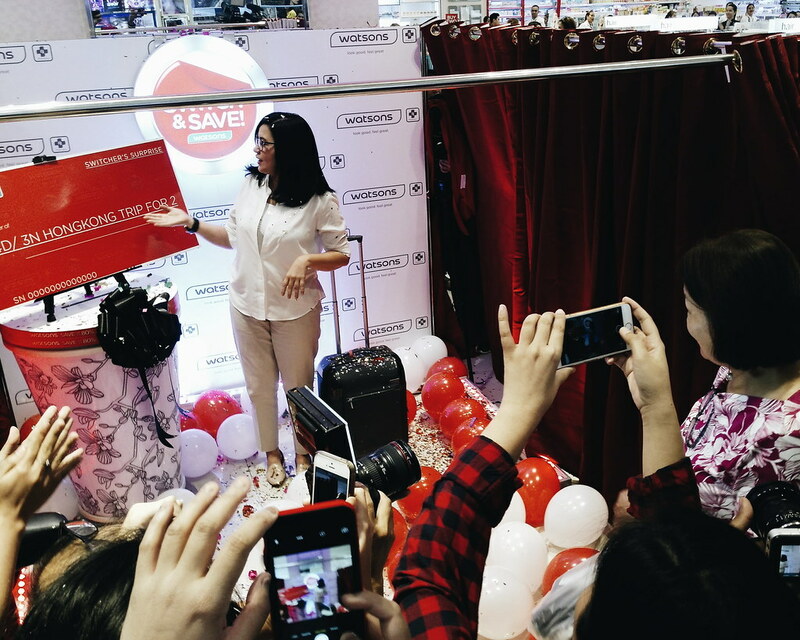 Celebrities like Iya Villana and Lorna Tolentino were there earlier to present the prize. The first run of the promo has been concluded today. 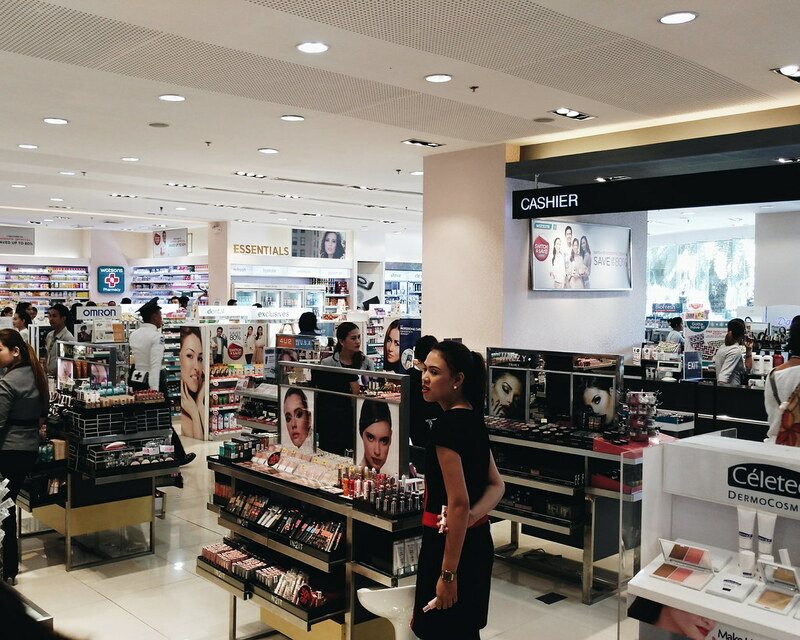 But don't worry, on Thursday, January 28th - the Watson's Team will run the exciting surprise at the SM Mall of Asia. Make sure that you are there! In addition to Switcher Surprise, Watsons also has the Watsons Buy 2 Take 1 Promo on selected Watsons Label Products from January 22 to March 2016. 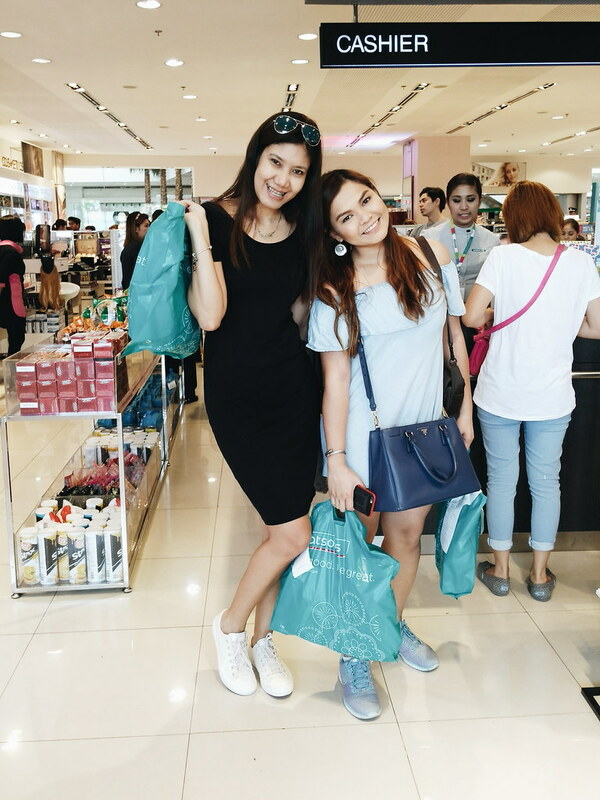 Had fun shopping with Martha who bought a lot! Avene Milk Cleanser - I super love how mild it is! I use it to remove makeup or as normal facial wash. Works both ways. Lysol Spray - super perfect for travels! Watson's Tissue - php 10 per pack. Super sulit! Dentiste Toothpaste and Mouthwash - my favorite all-natural toothpaste! Watson's Ortho Toothbrush - I switched! I used to buy the more expensive toothbrush, but I wanted to save more. 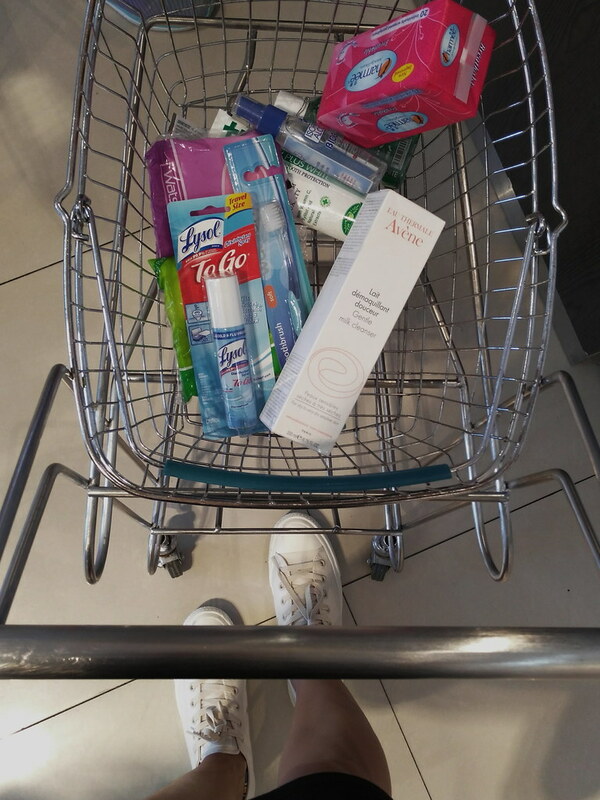 What are your favorite buys from Watsons?